When entering the repository, which is also accessible from the right column of this website, you will be able to search for a specific activity or to sort them by language preference or level taught, among other options. Note that some of the activities will be already finished and published, whereas others might be in pilot or work in progress stages. Activities can also be assigned a Feedback request status if an author wished to flag that feedback from colleagues is needed or welcome. 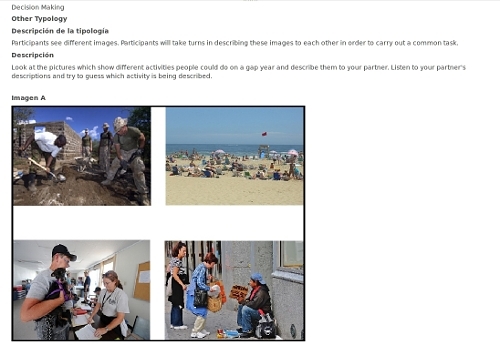 In any case, OER includes activities available in all SpeakApps languages that can be carried out with the project’s tools: Langblog, Tandem and Videochat. All the activities are openly licensed and have been developed to enhance oral production and interaction among language learners. Do not hesitate, check OER and help us grow the SpeakApps community!